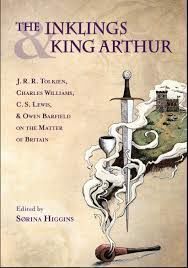 If you have read a variety of writings from Lewis, Tolkien and their friends Charles Williams and Owen Barfield, then you know they had more than a passing interest in King Arthur. In the following podcast learn about a new book, edited by Sørina Higgins that explores the latest viewpoints on their Arthurian literature. This massive book (500+ pages) took over four years to complete and includes contributions from Brenton Dickieson, Malcolm Guite, Holly Ordway and Alyssa House-Thomas. The list of endorsers include Michael Ward, Don W. King and Colin Duriez.